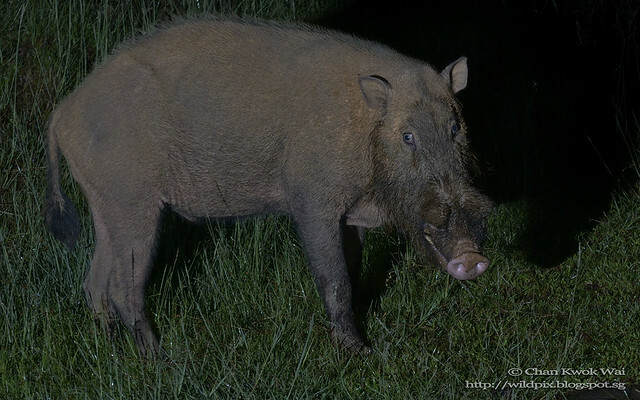 There were a few nocturnal mammals that roamed around Danum Valley Field Centre (DVFC) during the night. 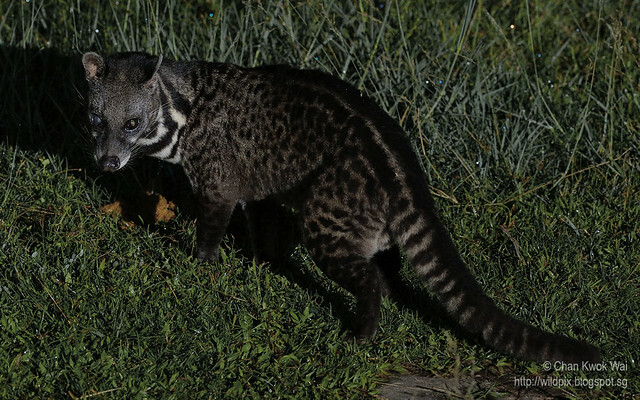 I was told by my researcher friend that Malay Civets were commonly seen during the night, scavenging for food. So I collected some left-over lunch and dinner and placed at a open area just outside my room before midnight. There was a lamp turned on at the walkway of the rest house. I could barely see if an animal passed by. Past midnight, 1 am, an animal suddenly appeared in my viewfinder. It was huge! 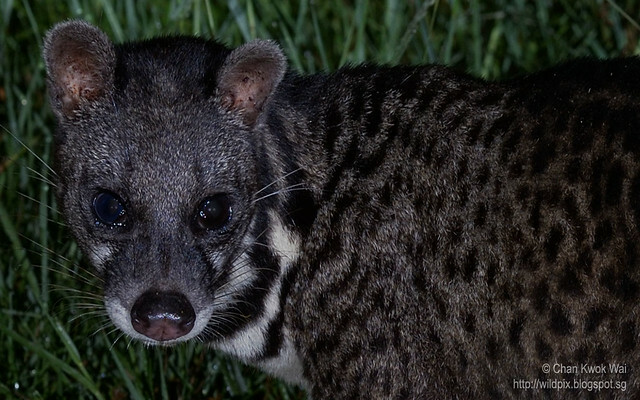 I knew it was definitely too big for a Malay Civet! Excited, I held my breath and tried to focus my camera. Sh*t ... my D600 simply refused to lock on. It was my first time I used my newly-bought D600 in the field. I knew that under this low light condition, my D300s would have no problem locking focusing. There's no time to waste as it was closing in to the left-over food. I became desperate and shined my torchlight on it. 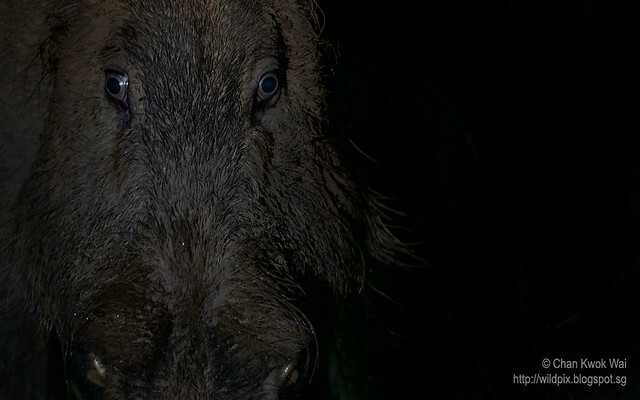 It was a Bearded Pig. 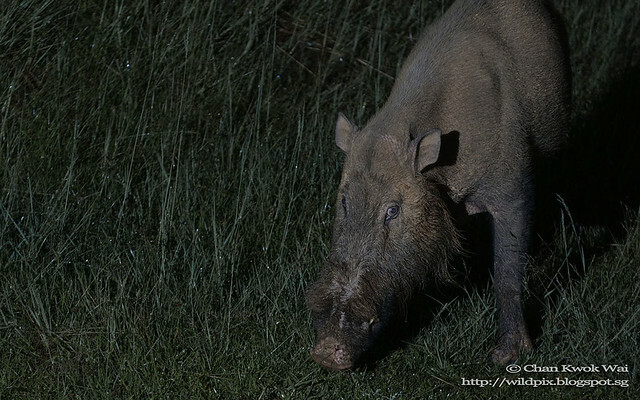 I managed a few shots before the Bearded Pig swallowed the last bit of the left-over food and wandered off. 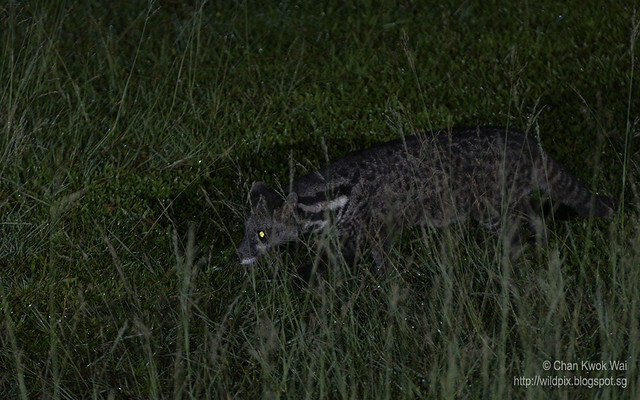 I knew I had to call it a night as there was no left-over for Malay Civet. The following 2 nights, I was lucky. The Bearded Pig did not turned up. 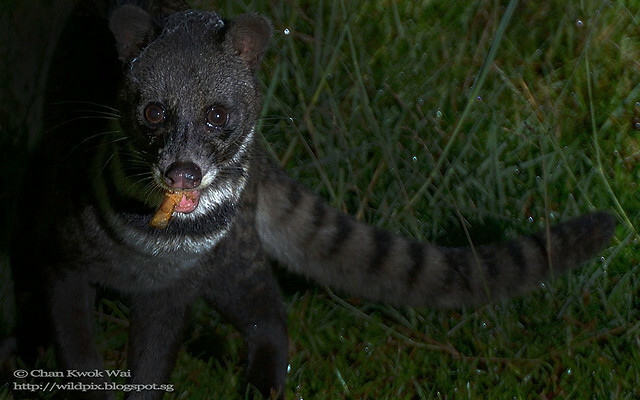 Instead Malay Civets came. Yes. Not one but at least 2 individuals came. This individual was prowling around the vicinity of the rest house. It was shy at first, running away when I shined at it. But I guessed it picked up the smell of the food and kept coming back. Below was an old individual, it had cataract on its right eye. Nikon D600 24.3MP FX Digital SLR Camera with Nikon 70-300mm f/4.5-5.6G ED IF AF-S VR mounted on Benro Travel Angel Tripod position at the doorstep of my room. Danum Valley is a located in Sabah, East Malaysia on an island of Borneo. It is about 2-3 hours drive from the nearest town Lahad Datu. Book a flight to Kota Kinabalu, the capital state of Sabah. You can fly in from major cities like Guangzhou, Shanghai, Hong Kong, Jakarta, Kuala Lumpur, Singapore, Taipei,Seoul, Manila, Denpasar/Bali. Fly domestic via MASwings to Lahad Datu. Arrange for transport if you are staying in Borneo Rainforest Lodge. I would highly recommend Borneo Rainforest Lodge. The accommodation is great and the food is excellent. They have very professional guides. Night tours are also conducted. All these come at a cost of course. I would not recommend DVFC as it is a facility meant for researchers. They are not so into eco-tourism. Accommodation and food are just sufficient. It is less expensive though. If you enjoyed this blog, you can help support this blog by using the above links to buy camera gears from Amazon. 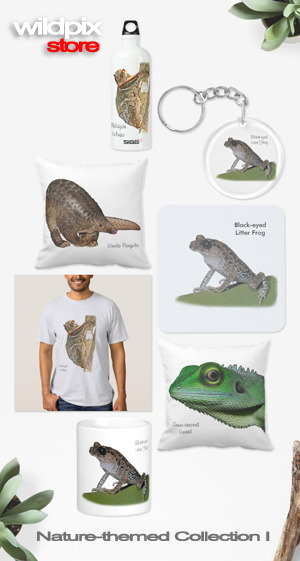 I get a small referral fee for each purchase made that comes from this blog. It's a great way to show your appreciation and keep this blog up and running. Thank you for your support.